Feb. 5, 2019 (London, ONT) – Today, LondonOntarioGolf.com (est. 2004) announces golf course designer Rene Muylaert as winner of the 2019 London Ontario Golf Heart Award. 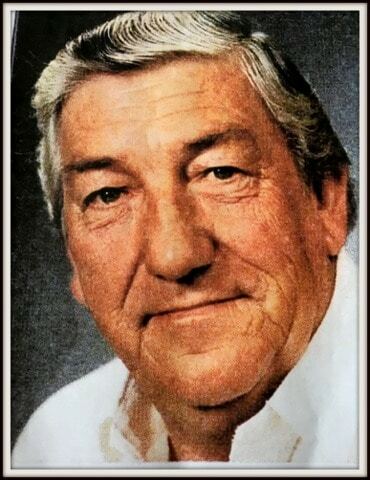 Muylaert, a Strathroy native who died in 2005 at age 69, will be honoured posthumously on May 10 at Highland Country Club in London. Muylaert is the 9th annual winner of the Heart Award, which recognizes a London and area community member who has helped grow the game of golf. 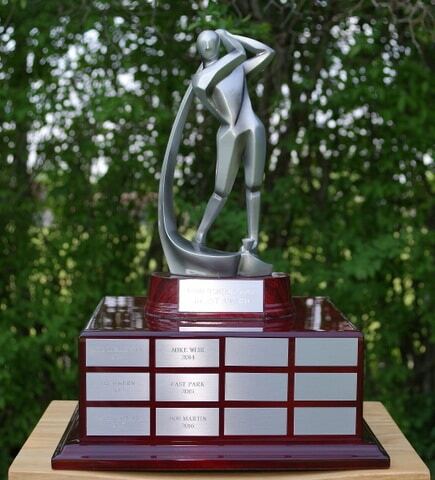 LondonOntarioGolf.com created the award in 2011 in order to recognize a community member who gives back to the game through unselfish efforts. Each spring, the Heart Award recipient, as selected by the editors of LondonOntarioGolf.com, honours those within the categories of golf professionals/instructors, golf mentors, golf course owners/operators, golf course architects/designers and members of the media. Heart & Stroke is the official charity of LondonOntarioGolf.com and it sister publication, LondonOntarioSports.com. February is Heart Month, and June is Stroke Awareness Month. Learn more at https://www.heartandstroke.ca. Muylaert is the first winner within the category of golf course architects/designers. In total, he designed almost 50 Ontario golf courses, and was enlisted to design additions and renovations at numerous other Ontario clubs. Rene’s twin Brother, Charlie, partnered with him for about two decades – Rene designed the course layouts, while Charlie managed day-to-day construction at Green Par Golf Construction. Charlie died in 2015 at age 79. “Rene Muylaert grew up on a tobacco farm near Strathroy, and later fell in love with golf course design as an assistant greens keeper in the late-1950s. He specialized in creating golf courses on small acreage in Ontario, and often worked with owners who boasted small budgets. In addition, Muylaert was a much-in-demand designer of course additions and renovations. Yet as talented as he was, Muylaert was perhaps the most unassuming Canadian golf course architect who ever lived,” said LondonOntarioGolf.com editor Jeffrey Reed. Muylaert joins past Heart Award winners Mike Olizarevitch (2011), Fred Kern (2012), Patty Howard (2013), Mike Weir (2014), East Park Golf (2015), Bob Martin (2016), Mike Silver (2017) and Lindsey Edmunds (2018). Their biographies are available at https://londonontariosports.com/the-heart-award/. London and area courses amongst Muylaert’s impressive resume include: Bear Creek Golf and Country Club (Strathroy) redesign; Echo Valley Golf Club (London) restorations; Greenhills Golf Club (Lambeth); Highland Country Club (London) restorations; London Hunt and Country Club (London) bunker renovations; West Haven Golf and Country Club (London); City of London’s Fanshawe Traditional and Quarry, Thames Valley, Hickory Nine and River Road golf courses (designed more than 30 greens); and his pride and joy, The Oaks Golf Club (Delaware). Oaks superintendent Rick Perrault worked with Rene as he designed the 1993-opened Oaks course, a par-72 championship course built on the sandy banks and bluffs above the Thames River valley. For a complete list of Rene Muylaert’s designs, read a feature story here. Muylaert will be honoured at the annual LondonOntarioGolf.com/LondonOntarioSports.com luncheon and awards banquet on Friday, May 10 at Highland Country Club. Tickets are $30 (incl. HST) available in advance only by contacting news@londonontariogolf.com. LondonOntarioGolf.com, The Voice of Golf in Southwestern Ontario, was established in 2004 by publisher and editor Jeffrey Reed. A member of the Golf Journalists Association of Canada, and a seven-time national and international writing award winner, Reed is a three-time author. His latest book, The Canadian Seniors’ Golf Association, Celebrating 100 Years of Seniors Golf 1918-2018 was published in 2018. A member of the London sports media since 1980, Reed is also publisher and editor of LondonOntarioSports.com (est. 2015), London’s Trusted Source for Sports News & Information. The London Ontario Golf Heart Award recognizes a London and area community member who has helped grow the game of golf. LondonOntarioGolf.com created the award in 2011 in order to recognize a community member who gives back to the game through unselfish efforts. Each spring, the Heart Award recipient, as selected by the editors of LondonOntarioGolf.com, honours those within the categories of golf professionals/instructors, golf mentors, golf course owners/operators, golf course architects/designers and members of the media. Canadian Golf Hall of Fame inductee Mike Weir, winner of the 2003 Masters Tournament, received the Heart Award in 2014. Ontario Golf Hall of Fame member Patty Howard won the Heart Award in 2013.